The Mitre House Hotel is one of London's most conveniently located Hotels for business and tourist stays. The hotel is one of the nearest Hotels to Hyde Park (6 minutes on foot). A twenty-minute walk through the beautiful vistas and scenery of the Royal park takes you to the Victoria and Albert Museum, the world's largest and most prestigious museum dedicated to the applied arts, the Royal Albert Hall, the Natural History Museum and the Science Museum. Keep walking and in a few minutes you'll be in Knightsbridge, the favourite area of London for every lover of shopping with its wealth of department stores, shops and boutiques: Harrods and Harvey Nichols Towards Chelsea, in Walton Street, Beauchamp Place and Pont Street, you'll find antiques shops and classic London-style boutiques, unrivalled throughout Britain. Less than 5 minutes' walk from Paddington underground and rail station, where direct trains leave for Heathrow airport and the crossing point for the Bakerloo, Circle, District and Hammersmith City tube lines, and just 6 minutes from Lancaster Gate station on the red Central line, the Hotel is well positioned for buses and taxis (50 metres) to head for London's most celebrated historical, art and shopping attractions and for business. London has many railway stations that are well connected to the underground, and Paddington is the nearest station to the Mitre House Hotel. It's only a 5-minute walk to the Hotel from Paddington station. Take the London Street when you leave the station, then take the second turning on the right. The Hotel is here at 178/186 Sussex Gardens. From the airport, a direct train or a couple of changes on the underground will take you to Paddington station. From here it is less than 5 minutes' walk to get to the Mitre House Hotel. Take London Street when you leave the station, and then take the second turning on the right. The Hotel is here at 178/186 Sussex Gardens. A direct Heathrow express train takes you to Paddington station (every 15 minutes). From Stansted, change at Liverpool Street on the yellow Circle line and get off at Paddington. From Gatwick, change at Victoria on the yellow Circle line and get off at Paddington. From Luton, change at King's Cross on the yellow Circle line and get off at Paddington. From London City, take the Docklands Light Railway to Canning Town and then take the grey Jubilee line to Westminster. From here take the yellow Circle line to Paddington. Our Hotel is easily reached by car and we offer a free car park, which is subject to availability (20 parking spaces). Via the M40 - from oxford - take the Paddington slip, continue straight down, through three sets of lights, at the roundabout take the left fork and we are on the left hand side. Via the M1 - from the north - at the end of the motorway turn right to the next roundabout and turning left to Cricklewood. Stay on this route through Kilburn and Maida Vale until you see the flyover ahead. Just past this is the Hilton Metrople Hotel where there is a sign for Paddington Station (turning left at Marks & Spencer, then second right and right again) this will bring you into Sussex Gardens and we are on the right hand side after two sets of lights. Via the M4 - from the west - at the end of the motorway continue straight into central London. At the end of the Natural History Museum turn left, continue through Hyde Park. At the end you have to turn left. This is Bayswater road at the first turning turn right and bear left at the lights turn right at the roundabout and bearing left and we are located on the left hand side of Sussex Gardens. 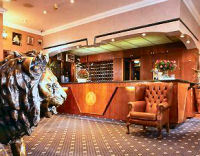 Description This popular family hotel is centrally situated in the Hyde Park area in central London. It comprises 67 bedrooms and provides multi type rooms from single rooms to family rooms and junior suites suitable for large families. Just a short distance from Hyde Park, on a leafy boulevard near Paddington railway and underground station, meeting point for trains arriving from Heathrow airport and the tube lines for the West End, the City and all the most beautiful and interesting places to visit, the Mitre House Hotel is the ideal solution for business and tourist stays in the heart of London. An enchanting historic building, with stylish and comfortable rooms, 24h reception and bar, generous breakfast, Wi-Fi, free parking and many other modern facilities, making it one of the best-loved 2/3-star hotels in the Hyde Park area. Family suites also available. This is ideal for families of 4 and 5 persons as the suite comprises 2 rooms next to each other and share a private bathroom. Rates FROM £150 per night. You are welcome to select this preference on our reservation form or contact us for more details. 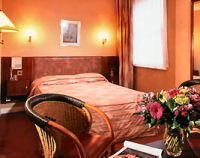 Guests requiring greater facilities than those offered the junior suites have a small sitting-room with writing desk, two satellite televisions, mini unstocked fridge, trouser press. In the bathroom there is a Jacuzzi/Spabath and hairdryer. Please contact us for best rates. Tea and coffee are available from reception. You may cancel up to 48 hours before your date of arrival and there is no charge. If you cancel after this time, you will be charged for the first night's stay. (Please note if you book a Family Suite or a Quadruple room, there will be a 2 night penalty for a late cancellation). Our Comments This is a family-run hotel and the owners always ensure that guests are well cared for. 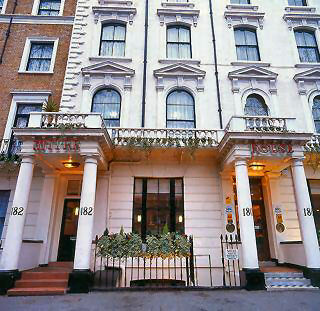 This family owned hotel is ideally located in Hyde Park central London. 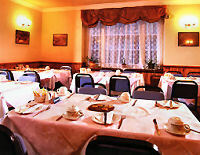 The hotel is a Grade II listed building from the Victorian period which has been extensively modernised over the years. 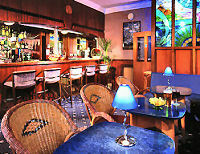 The hotel is situated on a leafy boulevard a stones throw from Paddington Station. We warmly recommend this favourite hotel of ours.